Throughout the beginning of spring and early summer, we’ve all experiences days as homeowners when we’ve thought about turning on the air conditioning. It’s common knowledge that air conditioners help to keep us cool and comfortable during the summer, but did you know that they also play a major role in our indoor air pollution and our overall health? At Boerne Air Conditioning Experts, we understand that air conditioners are beneficial in helping to circulate and filter our indoor air. We also know that almost all air conditioners contain a filter that will remove allergens and other pollutants as it pulls air from inside the room. This can actually help reduce indoor air pollution, especially when the air quality outside is relatively poor. We can’t stress enough about the important of indoor air quality, especially since it has been ranked among the top five risks to human health—probably because indoor air can sometimes be two to five times more polluted than outdoor air. While many homeowners can’t see the majority of indoor air contaminants, every cubic foot of air breathed carries a mixture of millions of microscopic particles such as pollen, mold spores and dust mite debris. In small concentrations, these particles and gasses may cause discomfort in the home., and in larger concentrations, they can cause sickness, due to the fact that these are among some of most troublesome triggers of asthma and allergies. To cut down on allergies and improve your indoor air quality, it’s important that you regularly clean and maintain your air conditioner so that it works properly. Air conditioners that are not correctly maintained can create problems for people with asthma and allergies. Air conditioners remove many different types of particles from our air, including dust, pet dander, pollen, and much more. All of this has the potential to buildup inside our air-conditioning unit sand recirculate throughout our living spaces if our air conditioners are not properly maintained. Air conditioners can also accumulate mold because they remove moisture from the air to lower humidity. Refrigerants and other chemicals can leak from your air conditioner as well, creating toxic vapors that are harmful to breathe. To avoid these problems, you should replace the air filter inside your air conditioner at least a few times a year, or simply follow the manufacturer’s instructions. You should clean your air conditioner just as you would any other appliance, removing the vents and the back of the device if necessary—this is especially important if you notice any visible buildup of dust or mold. It’s very unlikely that your air conditioner will leak any toxic chemicals but if you are unsure, feel free to call our technicians at Boerne Air Conditioning Experts to have it inspected and repaired by one of our professionals. Another common concern we see with air conditioners is that they limit natural outdoor ventilation. When you turn on the air conditioning, you’ve learned that you are supposed to close your windows and doors to keep the cool, dry air inside. While this makes sense from an environmental and financial standpoint, it can also trap substances inside your home and create a harmful buildup of indoor air pollution. 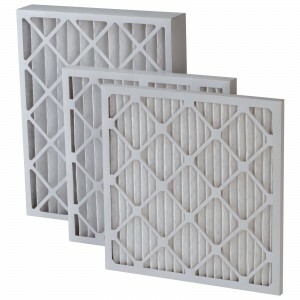 A certain level of ventilation is necessary for maintaining a proper air quality inside your home. On cooler days when the air quality outside is good, feel free to turn off your AC and open up the windows for some fresh air. Adequate airflow and ventilation will help to reduce indoor air pollution, which is especially important for people with asthma and allergies. Proper humidification levels are equally important in both hot and cold environments and contribute to the condition of your indoor air quality. Humidification is needed to control relative humidity levels in your home, minimizing unhealthy airborne pollutants. Too little humidity leaves the body vulnerable to infections, and can cause damage to your home’s wood furnishings. Inversely, too much humidity creates ideal breeding grounds for mold, mildew, and dust mites. A humidifier can help this problem. Humidifiers operate by the principle that vapor is created when warm dry air is blown over a water-soaked area or through evaporated steam from heat water. As the vapor or steam circulates, the relative humidity rises in the living area. In general, the ideal range for annual indoor relative humidity is 35% during the winter, and 40-60% during the summer. 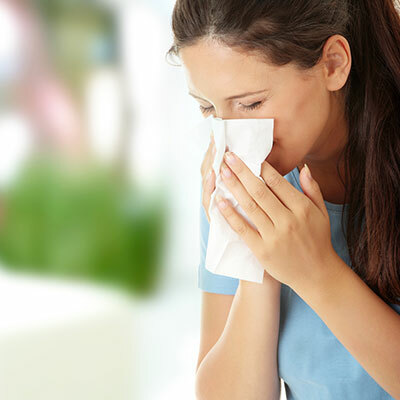 If you have additional questions about improving the indoor air quality in your home, or you’d like to find out more about how air conditioners can help indoor allergies, feel free to contact one of our staff at Boerne Air Conditioning Experts.